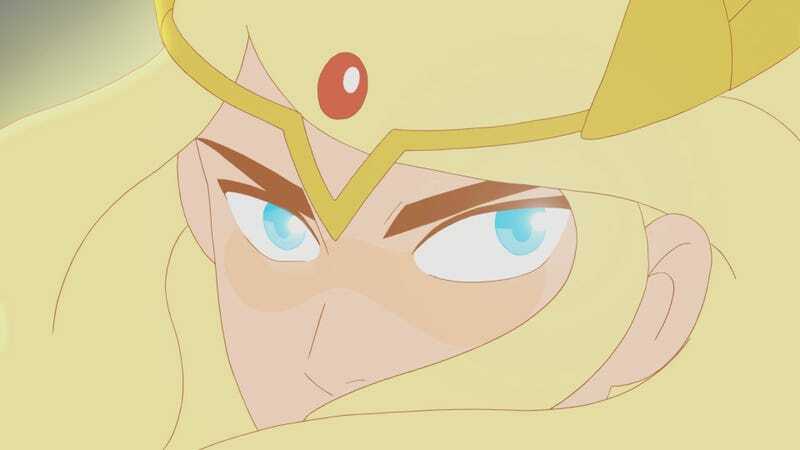 Here’s some outstandingly good news for the fans (and there were a lot, including the staff of io9—we had it on our list of 2018's top TV shows) of Netflix’s She-Ra and the Princesses of Power: The show will be back with season two in just a few short months and we’ll be meeting lots of new characters. For the Honor of Grayskull! There’s more drama. There’s mythology. We start to get more into the legend of She-Ra and the legend of the First Ones. We do meet some of our characters’ families. We see some of our characters like Catra, working their way up the ladder. We have a few, weird out-there kind of episodes – a little bit more experimental. We have one episode where it’s essentially just a D&D campaign. Ok, that Dungeons & Dragons campaign episode sounds super rad. Check out the full interview with Stevenson for even more tidbits about the show, though of course she doesn’t give too much away. All will be revealed when She-Ra and the Princesses of Power returns to Netflix on April 26.